As an International Baccalaureate (IB) World School, Woodcroft College offers the Primary Years Programme (PYP) in the Junior School, the Middle Years Programme (MYP) in the Middle School, and the Diploma (DP) in the Senior School. 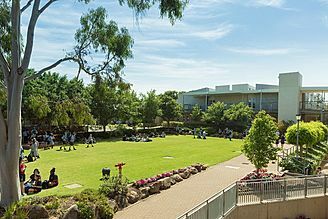 Senior School students may also choose the South Australian Certificate of Education (SACE) with its Vocational Education and Training (VET) pathway. with an excellent, all-round education in a Christian environment. The curriculum is broad and relevant, aimed at meeting the students' intellectual, physical, social and emotional needs. 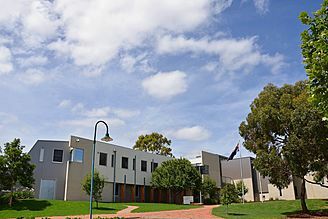 The school has a strong pastoral care focus, a broad extra-curricular program (involving outdoor education, sports, clubs, and performing arts) and an international focus, with annual student exchanges with Japan, Germany and Italy. Our students are our greatest ambassadors. Our staff are committed to ensuring that every child achieves their personal best. Through the benefits of the International Baccalaureate Programs, your child will be encouraged to take risks and acquire the lifelong skills of an independent learner. They will be encouraged and supported to excel in their studies, both personally and academically. The Junior School (Reception to Year 5) provides young children with the opportunity to learn and practise the essential social, emotional and problem solving skills they will need throughout their schooling. A major focus of our school is to develop positive self-esteem, helping young children feel confident about who they are, and to encourage them in their ability to take on the challenges of new learning in a caring and nurturing environment. Our Junior School is committed to laying a solid foundation to support all students in their learning throughout their educational journey from pre-school to Year 12. The Middle School (Years 6-9) is committed to supporting young people through their adolescence. With a global perspective, we encourage them to discover, explore and engage in their learning and to take supported risks with their learning. We cater for a wide range of student learning needs and offer students a wide range of academic experiences that will help them develop the knowledge, attitudes and skills they need for their Senior School years and beyond. Our Middle School is committed to encouraging all students to achieve their personal best. The Senior School (Years 10-12) is committed to nurturing the synergy between student, home and school. Effort, resilience, drive and grit are qualities developed by highly committed and encouraging staff to ensure that each student achieves their personal best. Students are encouraged to unlock their passions and interests, and pursue their individual strengths. Extensive subject selection and career counselling are offered to each of our students to ensure they are well aware of their options and post-school choices. Our Senior School is committed to providing students with a holistic education, great opportunities, and a head start in life. From their first day at Woodcroft College Junior School, children are encouraged to ask questions, reflect on their learning, explore and research, and to take action through the International Baccalaureate Primary Years Programme. Woodcroft College caters for a wide range of student learning needs through the benefits of the International Baccalaureate Middle Years Programme (MYP). It offers students a wide range of academic experiences that will help them develop the knowledge, attitudes and skills they need for their Senior School years and beyond. Students are encouraged to think globally and take risks with their learning. Academically-based activities and excursions complement and enrich their learning. Leadership opportunities help students to progress, not only academically, but socially and emotionally. Our pastoral care of students is highly regarded and solidly underpins our educational program. At Woodcroft College, effort, resilience, drive and grit are qualities developed by highly committed and encouraging staff to ensure that each student achieves their personal best. These attributes serve students well while at school, but also prepare them for the future. Students are encouraged to unlock their passions and interests, and pursue their individual strengths. Extensive subject selection and career counselling are offered to every student to ensure they are well aware of their options and post-school choices. To cater for diversity, the Senior School offers students three curriculum pathways and an extensive range of subjects. 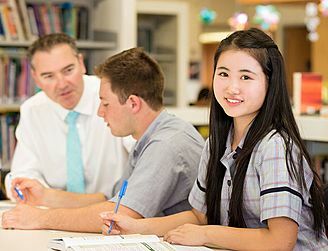 Students can choose to undertake either the International Baccalaureate Diploma Programme (IBDP), the South Australian Certificate of Education (SACE), or Vocation Education and Training (VET) in SACE. 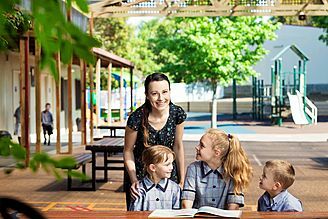 Our pastoral care program is specifically designed to meet the needs of Senior School students. Year-specific programs give students information and strategies to support them during their transition into responsible adulthood.